NOKIA 6 smartphone launched with 5.5-inch display, 4GB RAM and 16 MP camera. 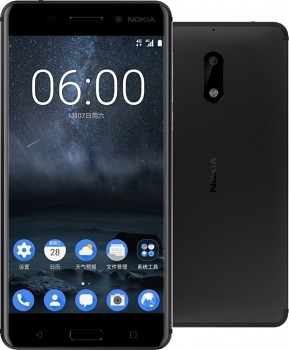 After securing the exclusive Nokia brand licensing rights in mobile phones in late 2016, HMD Global Oy today announce the launch of its Nokia 6 smartphone in China. The Nokia 6 marks the first step for the Nokia brand into Android smartphones with more to come in H1 2017. The Nokia 6 display has a bright hybrid in-cell 5.5" screen with full HD resolution and incredible color reproduction wrapped in 2.5D Gorilla Glass. The display stack is laminated together with a polarizer layer enabling excellent sunlight readability and slim form. The build is completed with the latest generation Qualcomm Snapdragon 430 processor with X6 LTE modem designed for excellent battery life and superior graphics performance. The Nokia 6 has 4GB RAM and 64GB storage with which to run the latest version of Android Nougat. The dual amplifiers deliver a 6dB louder sound than a regular amp, giving higher voice, deeper bass and unmatched clarity. Dolby Atmos creates powerful, moving audio that seems to flow all around users. The Nokia 6 packs a 16MP phase detection auto focus rear camera for sharp detailed pictures, and an 8MP front camera. The f/2.0 aperture lenses and exclusive camera UI with automatic scene detection make it easy to take great shots every time. The Nokia 6 will debut exclusively through JD.com in early 2017 in China. Competitively priced for the aspirational smartphone user, the Nokia 6 is 1699 CNY ($245) at JD.com.